If this thing is free then is it really worth the time or paying for shipping? Well we're going to go over the good the bad and the honest of what a free credit card knife from survival life is like. We've done our best to collect information and honest reviews from people and sources who have used this knife personally, and asked them to give an honest answer of if they would actually pay for it. 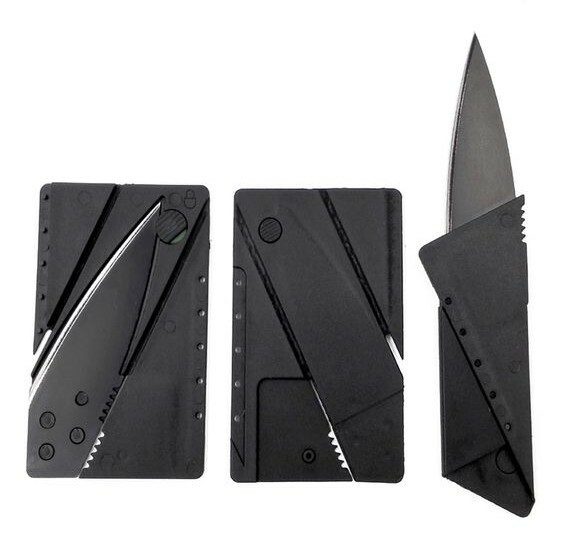 Why is the credit card knife free? Basically it's the same as giving your email address in exchange for a free pdf or video course on other sites. Except in this situation you're getting something more tangible, a free knife! So survival life is giving something a bit more valuable than a free pdf in exchange for access to your email, and the knowledge that you're willing to spend money. But is this wrong or bad? Quality of the free wallet knife? Survival life is a highly profitable website, and it's become that way through it's dedication to giving 110% quality to their readers. Therefore, they're able to afford giving the best quality products to their potential future buyers, like gadgets like this! This knife is made with a stainless steel surgical blade​ and "handle". It's not some cheapo plastic foldable knife like others, this knife is made to last. While the handle is partially plastic, the areas that matter on this knife are solid. Ease of use with the wallet Knife? This is an area that was left a bit more wanting. When you first get the knife it's a feeling of handiness and being ready, but after taking the time to open it a few times it came to mind "this isn't exactly a quick option". Doing this in the dark when you're unfamiliar with it could be a bit of a challenge too. Odds are you'd get it at the cost of skinning the inside of your hand. You'll certainly want to practice opening and closing this blade before doing it without looking. Design of the credit card knife? Since they were first on the scene with these types of knives, survival life got to set the standard in the best design, and they set the bar HIGH. 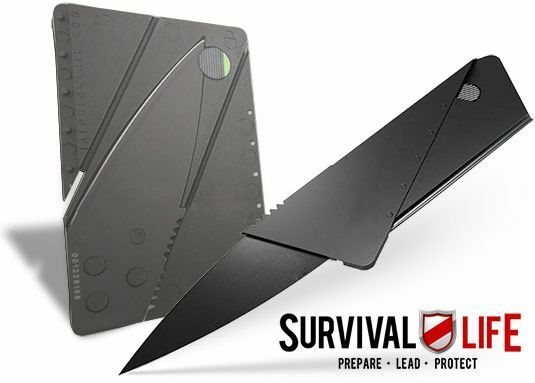 For a price point of just the cost of shipping, they offer a sleek, easy to use, and safe to handle credit card knife. 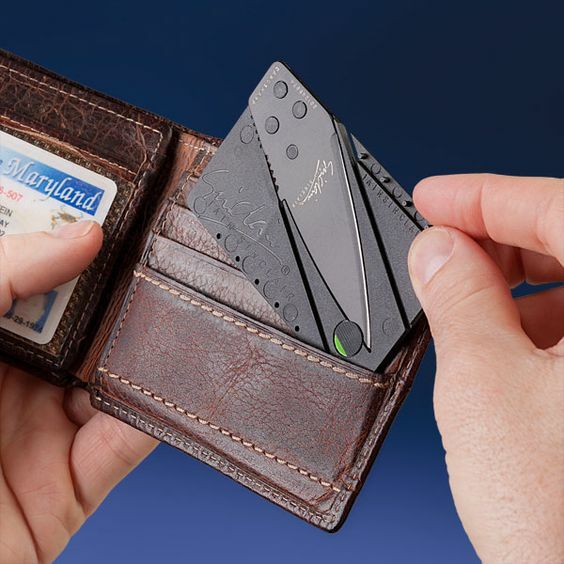 The safe to handle portion is extremely important, as the blade sits on top of the folded card, making it fairly easy to hurt yourself if the blade isn't tucked in. But they've got that covered with the clip on the front of the card! Should you get a free knife? Well it's basically free, so there's not much downside to seeing what all the fuss is about. It lasts a long time due to the quality of the product, and even if you only get a few uses out of it you'll probably have gotten your monies worth. And it would be worth whipping it out a few times just to see the curious looks on folks faces!